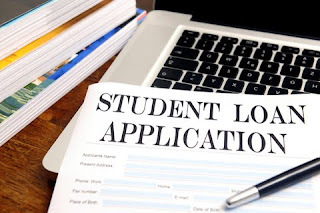 Legally Obligated: The Myth of "Good Debt"
I have often read that student loans can be categorized as "good debt," since they are an investment and generally come with low interest. Given that many degrees are no longer an investment, but rather a gamble (I'm looking at you, Mr. Juris Doctor), I have a hard time swallowing the notion that carrying $80,000 in student loans is actually a good thing. Fortunately, the student loan crisis is being covered more in the media lately, undoubtedly due to the high unemployment rate and a push by congressional democrats to make private student loans dischargeable in bankruptcy. Tess Stovall wrote a great piece for the Huffington Post about student loan reform. She points out that borrowers may only deduct $2500 in interest, which is not that much considering the enormous debt many graduates carry, particularly law school graduates. (Stovall claims the average law school graduate carries $93k in student loan debt.) She suggests that the student loan deduction should be raised to $3500 and unemployment deferments should stay all interest from accruing, regardless of loan type. I agree, but I don't think these reforms go far enough in addressing the student loan crisis. My husband and I pay $600 per month toward student loan debt, which is $7200 per year. Only a fraction of that goes toward the principal, since I am on a graduated repayment plan. In fact, for the first year and a half of repayment, none of my payments went toward the principal. Yet, I was only allowed to deduct $2500 in interest. So, according to the government, my wealth increased the first year of repayment by $4700 (since the assumption is that $4700 went toward a reduction in the principal balance, while the remaining $2500 went toward interest). This is simply not true, nor is it good policy. Given the state of the economy and the "jobless recovery," the government should give more consideration to the thousands (if not millions) of graduates who are struggling to repay loans for degrees that are failing to pay off as promised. Do you agree that student loans are good debt? How do you think the government should address the student loan crisis?